This tiara originates (speculatively, perhaps) with Empress Joséphine, first wife of Napoléon Bonaparte. It was made for her by the French jeweler Bapst, and is part of a parure that today includes a necklace, earrings, and two brooches. This symmetrical diadem incorporates geometric emeralds in a neo-classical diamond design, all mounted on a frame of gold and silver. The line of passage of this gem is complex, but here are the highlights: it ended up in the hands of Queen Josephine, who was a granddaughter of the Empress and consort of King Oscar I of Sweden and Norway. From there it stayed in Sweden until it was given to Norway's Crown Princess Märtha by her parents, Prince Carl of Sweden and Princess Ingeborg of Denmark. (Märtha was the granddaughter of King Oscar II of Sweden and had married her cousin, Crown Prince Olav of Norway. Her children are the current King, Harald, and his sisters Astrid and Ragnhild.) Ingeborg received the tiara from Carl's mother, Queen Sofia of Sweden. After Märtha's untimely death (at the age of 53), the tiara was worn by Princess Astrid. Astrid served as Norway's First Lady alongside her widowed father until her brother Harald married. Since then, the tiara has become a favorite of Queen Sonja. She's worn it in many official portraits and to many important events, including the weddings of Crown Prince Frederik, Crown Princess Victoria, and her son Crown Prince Haakon. Unlike many ladies that feel a need to coordinate the colors of their gems to their gowns or their orders, Sonja wears her emeralds with whatever she pleases. This is either an advanced sartorial move or a recipe for disaster, depending on your perspective. I don't mind it, but in her favorite yellow, it's an awful lot to take. 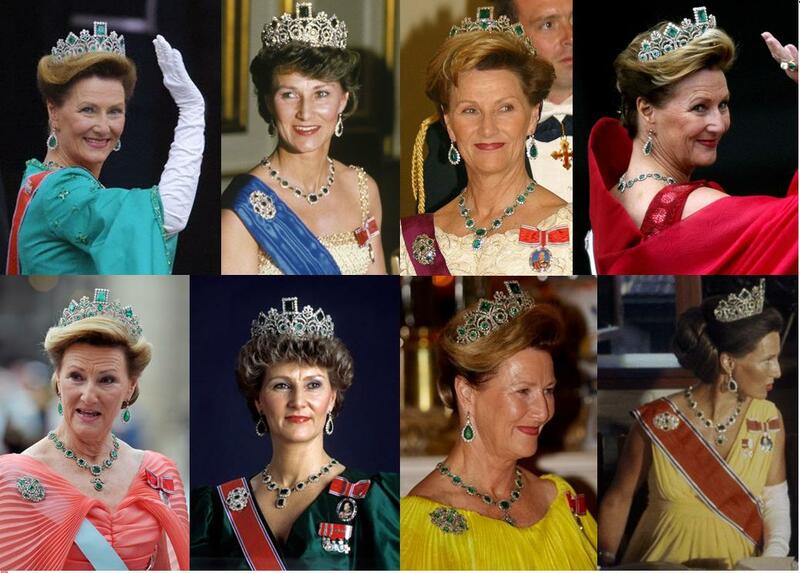 With the red order of Olav, the green emeralds, and a yellow dress, it's a bit of a sartorial traffic light. 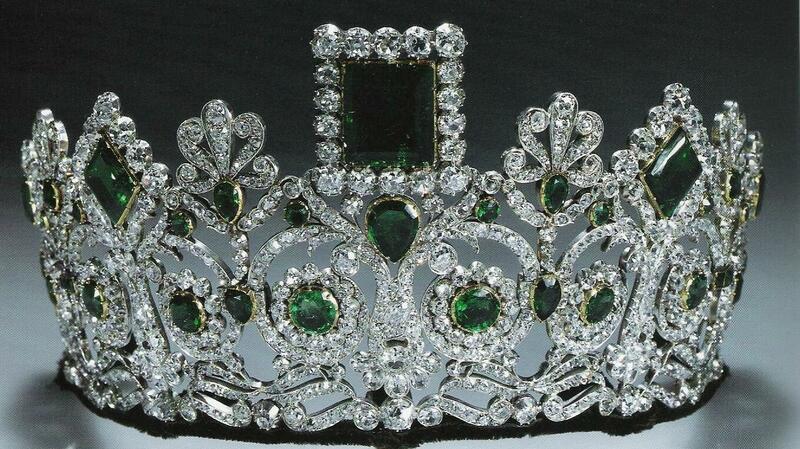 I must confess, I am only a recent member of the Empress Joséphine Emerald Tiara fan club. The large square emerald at the top seems a little clunky, but over time the sheer heft of the piece (both in size and in historical value) has won me over. And you? 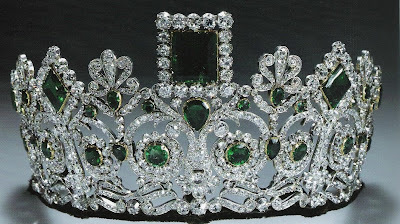 Are you in the Empress Joséphine Emerald Tiara fan club?